We are delighted to welcome to our pulpit on Jan. 27-28 our Episcopal leader for the Missouri Annual Conference, Bishop Robert Farr. He will preach our Saturday Chapel services and all services on Sunday morning. Rev. Robert Farr is a dynamic speaker and prolific author. He serves as Bishop of the Missouri Area of the United Methodist Church, which includes 800 local churches, approximately 1,000 retired and active clergy, and 80,000 weekly worshipers. Before his work as Bishop, Rev. Farr was the Director of the Center for Congregational Excellence from 2007-2016, guiding 35 church starts into life. 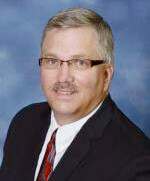 He has also overseen over 150 Healthy Church consultations in the Missouri conference. As a writer, Rev. Farr has co-authored several books with Kay Kotan, published by Abingdon Press, including: Renovate or Die – 10 Ways to Focus Your Church in Mission (2011), Get Their Name – Grow Your Church by Building New Relationships (2013), 10 Prescriptions for a Healthy Church (2015), and The Necessary Nine (2015). Farr’s passion for the global church has taken him to India, Mexico, South Korea, Russia, South Africa, China, Haiti and Mozambique. For the past five years, he and his wife have helped support Nhachengue UMC in southern Mozambique, including the drilling of a deep water well. He and Susan have been married since 1979 and have two adult children and two grandchildren.